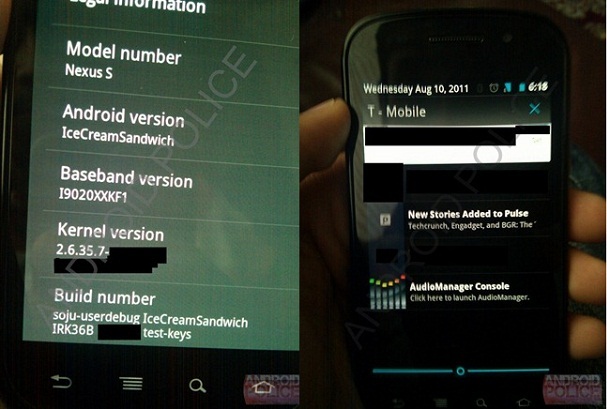 Google’s latest version of the Android operating system, Ice Cream Sandwich screenshots appeared on the web today. Unfortunately, the screens don’t show much but at least it’s something.Coming from AndroidPolice and RootzWiki, each site has manged to get their very own shots of the tasty flavor of Android. Both sites seems to share the same ideas concerning the latest build, though. Most changes found throughout are UI based, and aren’t too heavy. Both sites go on to say that old Android handsets should definitely be able to run Ice Cream Sandwich with little to no trouble. This is certainly a good thing if Google is truly trying to tackle fragmentation and not just further it. The application draw has been revamped to look more like the Honeycomb app drawer, as you can see in one of the pictures. You may also noticed that the official version number of Ice Cream Sandwich is notably absent but we still wouldn’t be surprised if it ended up being 4.0. 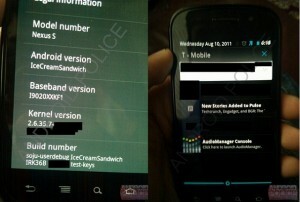 We can expect the Nexus S and Nexus One to get first dibs on the update when it goes live, but we’ll likely see a new Nexus device debut with Ice Cream Sandwich pre-installed before we see the update get pushed to any other handset. 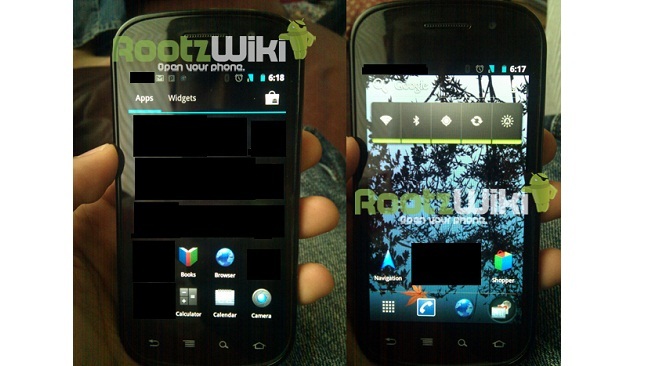 This release is still very early, notice the theming of the power trayAndroidPolice: Brand-new launcher and app drawer, with screenshots of both featured exclusively onRootzWiki – with what appears to be a task switcher icon on the homescreen, though it could be something else. Camera now has a panorama mode not pictured Gmail has been totally re-themed to go with the new OS not pictured Nexus S will be receiving ICS via update, but the “Nexus Prime” will be getting it first Mostly UI changes – many older devices < 1 year old should be able to run itFrom what the pictures do show, I’m already surprised. I did think that the UI would look dramatically different but that’s not the case. That’s not a bad thing in the least bit, and will likely be beneficial to some older handsets. Previous HP TouchPad Price down to $400!